In the global market, IT outsourcing industry has been expanded and developed rapidly over several previous decades. 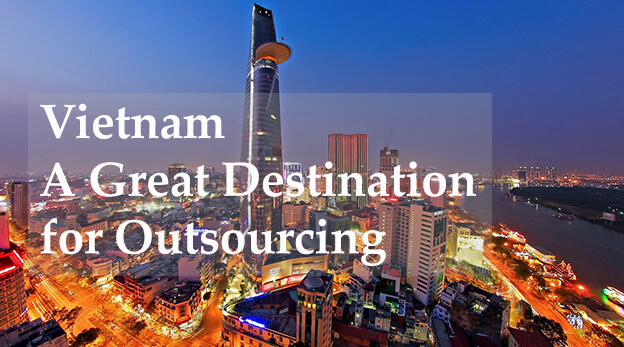 And in Vietnam where IT outsourcing has been developed speedily in the last 15 years, the industry has nurtured many world-leading companies and is attracting more and more large corporations to move their operation to the country. Since the biggest and most matured markets probably can’t fit all, the trend has actually been moving from the mature destination like India, Ukraine, etc. to emerging ones where vendors earn more cost effectiveness while the markets are more flexible to clients’ demands and requests. Talking about Vietnam, it’s not only about the historical war, about the country’s beauty spots any more, here, we also present a tech-savvy generation with exceptional specialised skills that could transfer Vietnam into a leading IT service provider to the global outsourcing market. If you haven’t heard and recognised this potential destination, this year will give you a great chance. As the biggest event for IT outsourcing in Vietnam, Vietnam IT Outsourcing Conference, VNITO, will be held on 15-16 Oct 2015 in Ho Chi Minh City with the main theme “Vietnam – An Emerging Destination for IT Outsourcing”. Big guys in different industries have made their first steps into this markets. They are IBM, Electronics, Microsoft (Nokia), Samsung, Intel, LG, Canon, Panasonic… moving their operational factories to Vietnam over the last 10 years. They are HP, Cisco, Boeing, Sony, Sharp, Deutsche Bank, … outsourcing R&D to Vietnam. We have 40k+ IT graduated annually, plus 290+ universities and colleges with ICT training program, and have the ability to solve tough and complicated technological jobs. And benefit from strong government support. As one of the top 30 leading IT companies (recognised by Vietnam Software and IT Services Association in 2014), Savvycom is actively participating the conference to boost the image of Vietnam IT outsourcing to the world. This is a great opportunity, and on be half of Savvycom Software, I would be very excited to meet you there in October 2015. Let’s come and meet at the our booth No 7 during th event. We would love to talk! IT Outsourcing Destination: India, China or Vietnam?